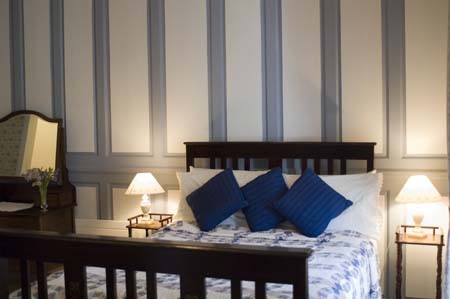 Rooms 8 (Deluxe, Superior, Classic; 1 shower only, 2 family rooms, all no smoking); B&B about €60 pps, ss€20. Children welcome (under 2s free in parents room, cots available free of charge, baby sitting arranged). Free broadband wi/fi. Dogs permitted (stay in outhouse/kennel). 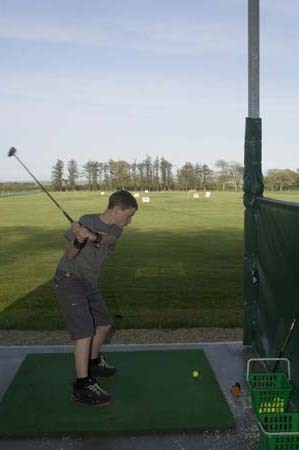 10 bay driving range, pitch & putt, croquet, cycling, tennis, garden, walking. Golf and equestrian nearby. Evening meals by arrangement, Wed-Sat in summer *Self catering also available in 3 courtyard apartments. Closed late Dec-early Mar. MasterCard, Visa. 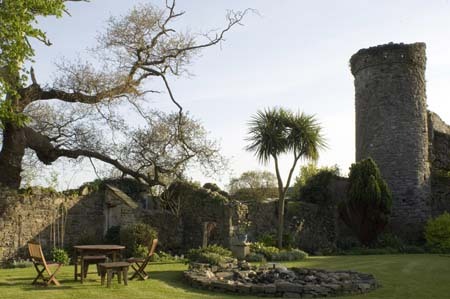 Just a few miles from Wexford town, the Mernagh family’s magical farm B&B is the perfect place for stressed townies, especially with children in tow – a real castle (that may be climbed, with care, to the very top), a 17th century house to stay in, and lots to do. 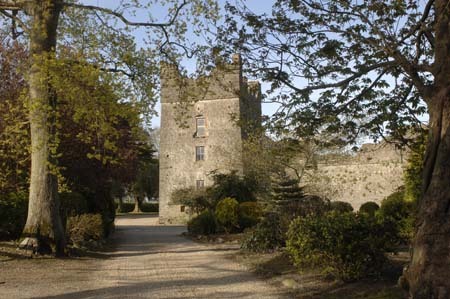 The past and present mix effortlessly in Killiane Castle: the farmhouse and Tower House are 17th century and some of the 13th century Norman Castle still stands. Inside there’s a spacious entrance hall, an elegant, comfortably furnished residents’ sitting-room with an open fire and an honesty bar, and there’s a small room down a few steps used as a TV room, with tea/coffee and cookies on offer too. 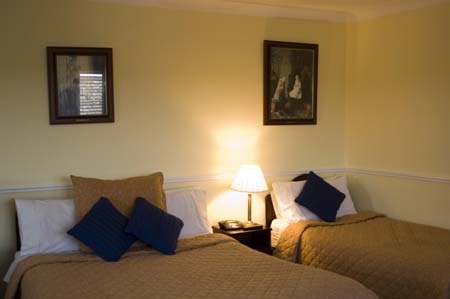 A climb up the 17th century staircase to the second and third floors brings you to lovely individually-designed bedrooms recently upgraded to hotel standard, with very comfortable beds, refurbished bathrooms and great views over the countryside. This friendly family - Jack and Kathleen, and their son Paul who is now manager (and a hotel manager by training) - always have plans for further improvements and they have started to repair the castle (in the family since 1920), with a view to restoration. As well as offering very comfortable accommodation, plenty to read in both the sitting room and bedrooms (history of castle, area, books and magazines) and lots of garden furniture for the enjoyment of fine weather (skilfully deployed to suit all times of day and wind directions), there’s a lot to do without leaving the property at all and both children and adults are sure to find plenty to interest them. A recent addition (very nicely done) is a barbecue area at the back of the house, and simple dinners are offered in June, July and August. Alternatively the restaurants of Wexford are very close (they’ll arrange a taxi for you), or Paul or Kathleen will advise guests on the best local choices. 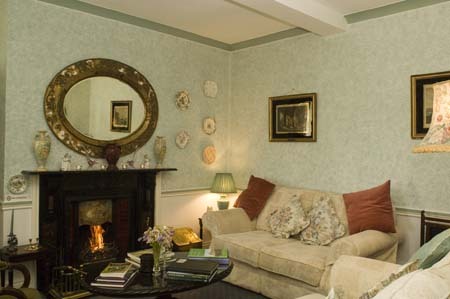 Killiane is just a few miles from Wexford town so it’s ideal for an overnight on the way to or from Rosslare Harbour (about 10 minutes), although it’s unlikely that you’ll want to leave after one night here. Off N11 approx 7km from Wexford in Rosslare direction. Left at Drinagh Garden Centre.